Amid a raging opioid epidemic, every state has now established a drug-monitoring database to encourage safer prescribing and to reduce abuse. Yet, there is scant evidence that such programs are having a positive effect on the number of drug overdoses, a new study by a group that includes a University of Florida Health researcher has found. “The big question is whether these databases are effectively reducing fatal and nonfatal overdoses. It’s a natural next step in an environment where so many competing and complementary policies are changing and being implemented to combat the opioid epidemic,” said Chris Delcher, Ph.D., a health outcomes researcher in the UF College of Medicine, part of UF Health. The answer: It’s hard to say whether these databases are impacting the number of overdoses. Delcher and his collaborators parsed more than 2,600 academic publications and found just 10 of those articles linked prescription drug-monitoring programs to fatal opioid overdoses. An analysis of the 10 studies found extremely limited evidence of a reduction in fatal overdoses but not enough to draw firm conclusions, Delcher said. The findings are published in the Annals of Internal Medicine. Now that prescription drug databases are ubiquitous and cover millions of patients, Delcher said it’s important to understand their impact and how they can be improved. “Because they are promoted as a tool that will help reduce opioid overdoses, we needed to know if that is actually true,” he said. They also found some unintended consequences: Three studies reviewed by the researchers showed overdose deaths from heroin (an illegal opioid chemically similar to many pain medications) increased after prescription some drug-monitoring programs were implemented. Separately, a 2013 study of drug users in Philadelphia and San Francisco by other researchers found a shift from prescription opioids to heroin use was driven by heroin’s easier availability and lower cost. In Florida, deaths from oxycodone (a legal prescription opioid) tumbled after the state’s prescription drug-monitoring program began in late 2011, but there was a concurrent rise in fatal overdoses from fentanyl, heroin and morphine, Delcher found in 2016. “When you crack down on prescription opioids, it means that people sometimes turn to other sources,” Delcher said. Opioid prescribing spiked 350 percent nationwide between 1999 and 2015, as did the rate of overdose deaths from heroin and prescription opioids. The research also revealed which specific features of prescription drug-monitoring programs were most likely to have an impact on fatal overdoses. They included requiring doctors to review a patient’s medication history before writing another prescription, more frequent updates of patients’ prescription data, and allowing more providers to access patient data. Changes taking effect July 1 may improve the effectiveness of Florida’s program, Delcher said. Physicians will often be required to review patients’ history of controlled substances. Currently, use of the database use is voluntary. The new law also imposes a three-day limit on most opioid prescriptions for acute pain, although a seven-day supply can be issued if it is deemed medically necessary. Studying the effectiveness of prescription drug-monitoring programs is one way of making them more useful and effective, Delcher said. For example, as a biomedical informatics tool, they could be made more sophisticated and intuitive to help busy physicians easily and quickly distinguish a patient’s risk of misuse, abuse or overdose. Delcher is currently working on improving patient-risk algorithms, overlapping medication dashboards and other data-driven methods to enhance the database beyond a list of medications that a patient is using. Researchers at Columbia University and the University of California, Davis led the study, which was funded by the National Institute on Drug Abuse and the Bureau of Justice Assistance. The latest research comes as Delcher and UF Health Forensic Medicine Director Bruce Goldberger, Ph.D., continue their work on a system that tracks drug use data and deaths throughout Florida. The Florida Drug-Related Outcomes Surveillance and Tracking System is funded by a three-year, $600,000 federal grant meant to help fight prescription drug abuse. Data from that system was used in a recent analysis by a University of South Florida researcher, who found an association between opioid prescription rates and neglected children being put in foster care. 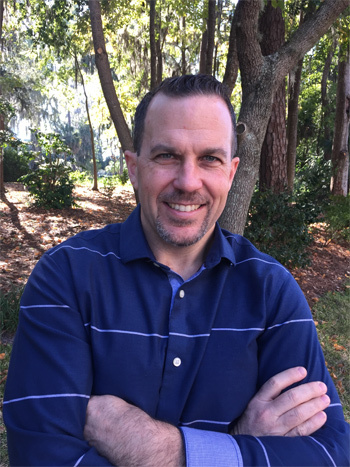 About the researcher: Chris Delcher, Ph.D., is an assistant professor in the UF College of Medicine’s department of health outcomes and biomedical informatics.